In his teachings Jesus frequently used parables. The word “parable” is derived from an ancient Greek word that means “comparison.” Parables are like brain-teasers: they compare differing realities and use one example to shed light on the deeper meaning of the other. Jesus used the rhetorical techniques of hyperbole and metaphor to enhance his disciples’s understanding of his lessons. In the story of the mustard seed Jesus describes the relationship between heaven and earth, what Saint Mark the Evangelist calls “the kingdom of God.” Heaven is a reality that seemingly belongs to another realm but is actually right before our very eyes. “This is how it is with the kingdom of God,” Jesus says. “It is if a man were to scatter seed on the land and would sleep and rise night and day and through it all the seed would sprout and grow, yet he knows not how” (Mk 4:27). This tiny seed, which Jesus describes as “the smallest of all the seeds on the earth,” may appear insignificant but it possesses great potential. 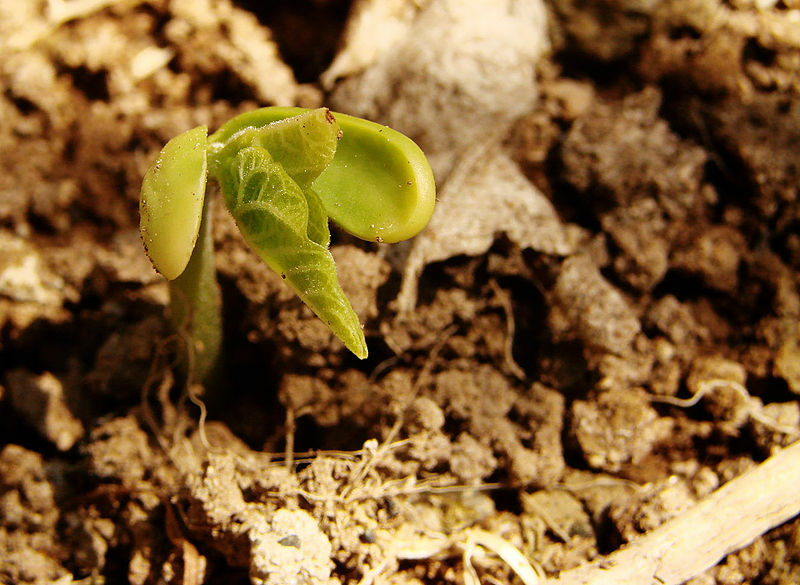 We plant the seed, watch it grow, pray for rain, and hope for a bountiful harvest but the seed sprouts and produces fruit in its own way: “First the blade, then the ear, and then the grain in the ear” (Mk 4:28). Farmers hope for a bountiful crop when harvest time arrives but it is God who gives life to the seed that yields the produce. It is the same with the reign of God, who produces fruit in the silence of the human heart. The potential to live in heaven and on earth simultaneously is often experienced in ways that appear difficult to believe. For those whose lives are focused on the Spirit will thrive in this world and in the afterlife. Heaven and earth, according to Mark, are indissoluble; the two go hand in hand. 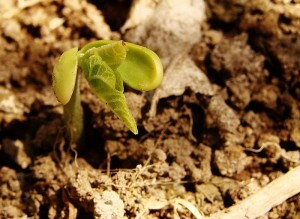 As with the seed growth, spiritual maturity doesn’t happen overnight. Understanding the coming of the kingdom requires patience and timing. The grace of God empowers the believer on earth to prepare for the realm of the Spirit — but we must be willing to work for our salvation. “When the grain is ripe, [the farmer]wields the sickle at once, for the harvest has come” (Mk 4:29). At the end of every harvest comes celebration and an expression of gratitude toward God, the master of the harvest (Mt 9:38), but there is always more work to be done. The prophet Ezekiel uses the metaphor of the cedar tree with its splendid branches and sturdy trunk. The Lord will restore Israel — the foundation of heaven on earth — in accordance with the Messianic hope of the Israelites who wait for the restoration of the Davidic dynasty, the line of kings from which Jesus descended (Mt 1:6b; Lk 3:31). The present and future action of God is the subject presented in the stories that Jesus told to his disciples in figurative language and embellishment. The parables of Jesus point to the growth of the reign of God on earth. Then and there. Here and now. Like a seed God’s potential germinates inside us and develops by a power independent of our own endeavors. The right response is to prepare for the harvest, ‘to apply the sickle when the harvest is ripe and to tread when the wine press is full’ (cf Jl 4:13). According to Paul the Apostle the recognition of heaven on earth is state of mind. The Lord is our distant homeland, believed in but unseen in its entirety. “We know that while we are at home in the body we are away from the Lord. We would rather leave the body and go home to the Lord” (2 Cor 5:6, 8). That was Paul’s goal, and he worked very hard to turn his dream into reality. Jesus’s entrance into the world as its savior is the consummation of heaven and earth (Mk 1:14-15). The kingdom grows like a mustard plant in the hearts of believers who walk by faith and not by sight. Jesus keeps us guessing, that’s for sure. In the gospels he explains the meaning of his parables so that by understanding them we can teach new generations of Christians. He doesn’t speak in a riddle wrapped in an enigma inside a mystery but he does expect us to think for ourselves and apply his teachings to real people living real lives.